Today, my husband and I are heading back to Houston from a whirlwind trip to Denver, Colorado. We weren't there for vacation, but we decided to extend the trip by a day to do some sightseeing. Denver and the surrounding areas have so many offerings that we didn't know where to start. Rocky Mountain National Park has always been a treasured place for us, but with such a short trip, we didn't think there was time to do it justice. We also knew we didn't have time build up the red blood cell count needed to hike in high altitudes, considering we spend most of our time at a whopping 50 feet above sea level! 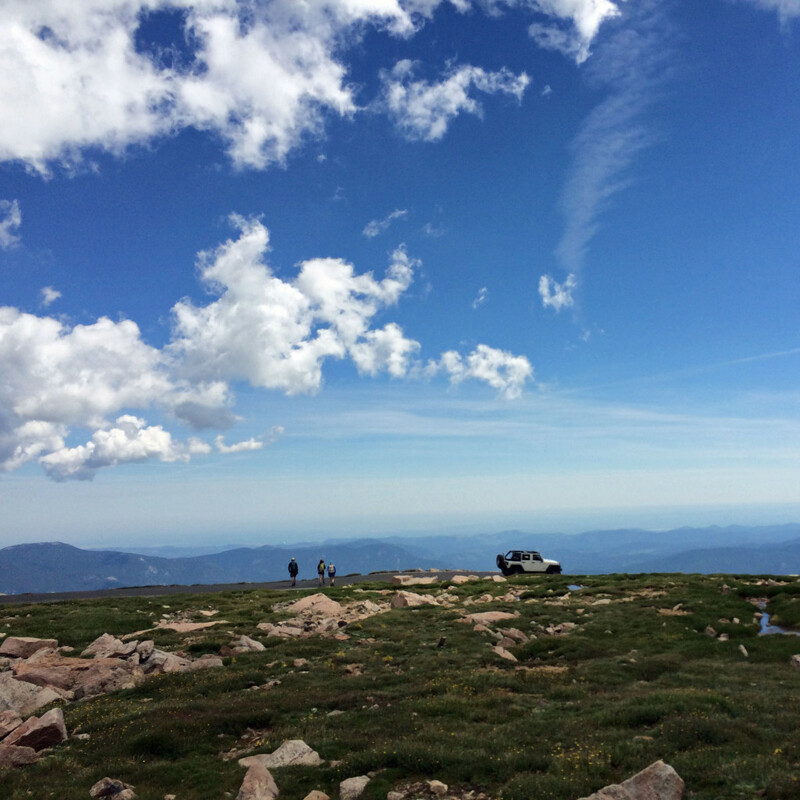 So to fill our thirst for seeing the natural beauty of Colorado during such a short trip, we turned to a closer 14'er (14,000 foot mountain): Mount Evans. 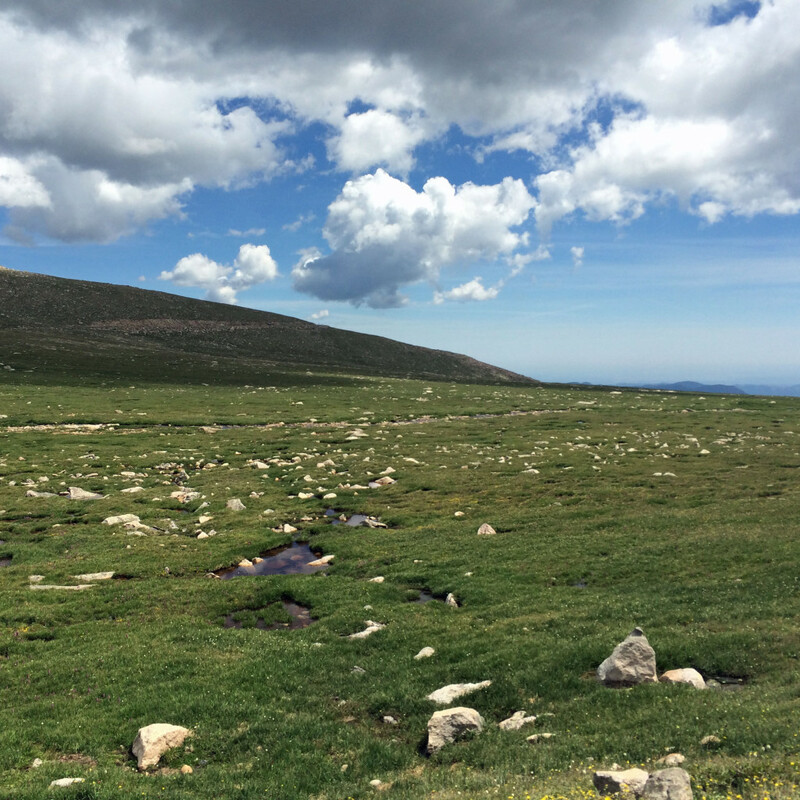 The drive from downtown Denver to the bottom of the Mount Evans Scenic Byway in Arapaho National Forest is a 45 mile trek, mostly on freeways. The entrance fee for cars is $10. Motorcyclists, hikers and bicyclists get in for $3. 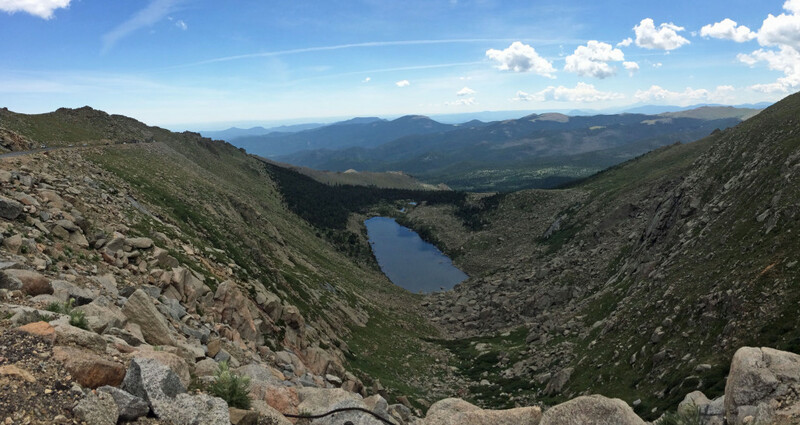 The view on the way from Idaho Springs to Mount Evans isn't too shabby! I brought a jacket, water, a snack and good walking shoes with me. If I had really been prepared to do some hiking up there, though, I would have worn pants and boots and brought my hiking poles. It was cold on top of the mountain, and windy too! 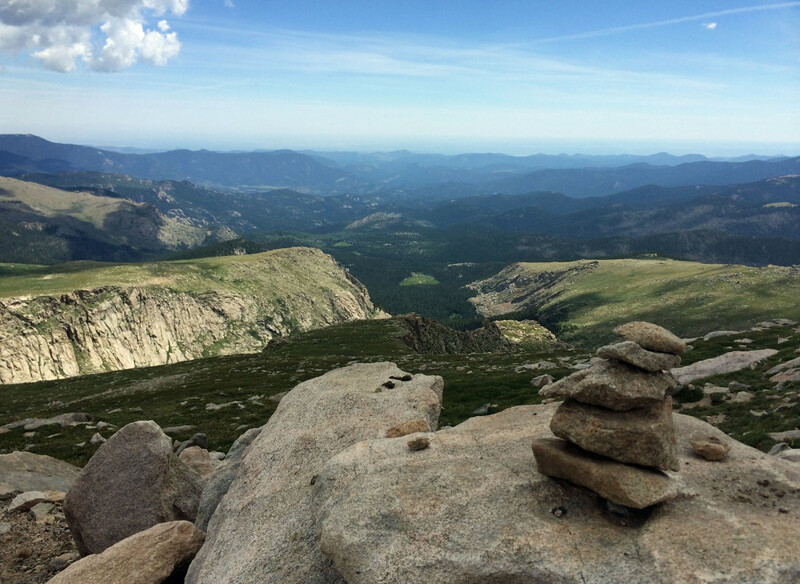 It drops 3.5 to 5 degrees Fahrenheit for every 1,000 feet climbed, meaning it's usually at least 20 degrees colder at the summit than in Idaho Springs. In addition to hikers, we saw plenty of bicyclists and a few climbers. If these activities are more your speed, come prepared with the tools of the trade. Another essential item to bring with you is sunscreen. The official guide warns that "the sun is 5% stronger every 1,000 feet of elevation gained." You'll gain more than 6,700 feet, so that's a lot of UV. Make sure you warn everyone in your party that the road is steep, narrow, curvy and has no guard rails whatsoever. If anyone gets carsick easily, make sure they are the driver or they sit up front. And if anyone is severely afraid of heights, this might not be the day trip for them. Make sure the driver understands that there's no hurry to get to the top, and that they can (and should) take their time to safely make their way up the road. There are blind curves aplenty, and lots of bicyclists who deserve space to ride, so patience is needed on all fronts. Josh did a great job with this, and it made for a safe, pleasant experience for both of us. There are a LOT of switchbacks on this road. It's recommended you do this drive earlier in the day so you don't have to fight so many crowds and you're less likely to get caught in a thunderstorm above the tree line. I'd also suggest you make sure your gas tank is at least half full before you set out. We used about 3/8 of a tank in our RAV4 on the entire round trip from Denver. Finally, make sure you bring your camera. This place is a wall calendar in the making, and every turn is more gorgeous than the last. Enjoy the moment in person, and snap a photo for the memories. 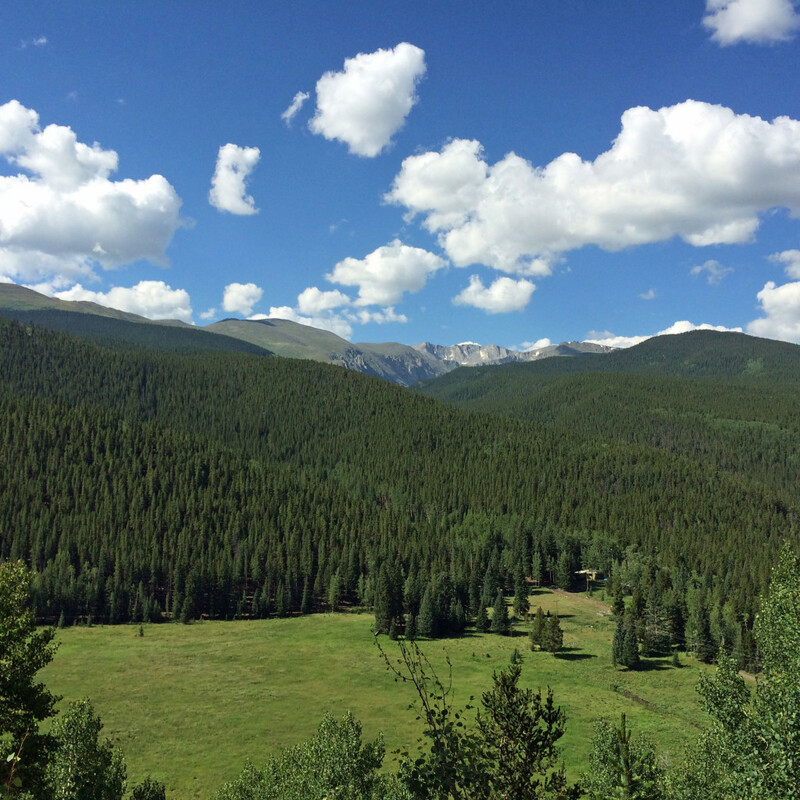 The views on this drive are stunning, and once you get above the tree line, they'll be unhindered. 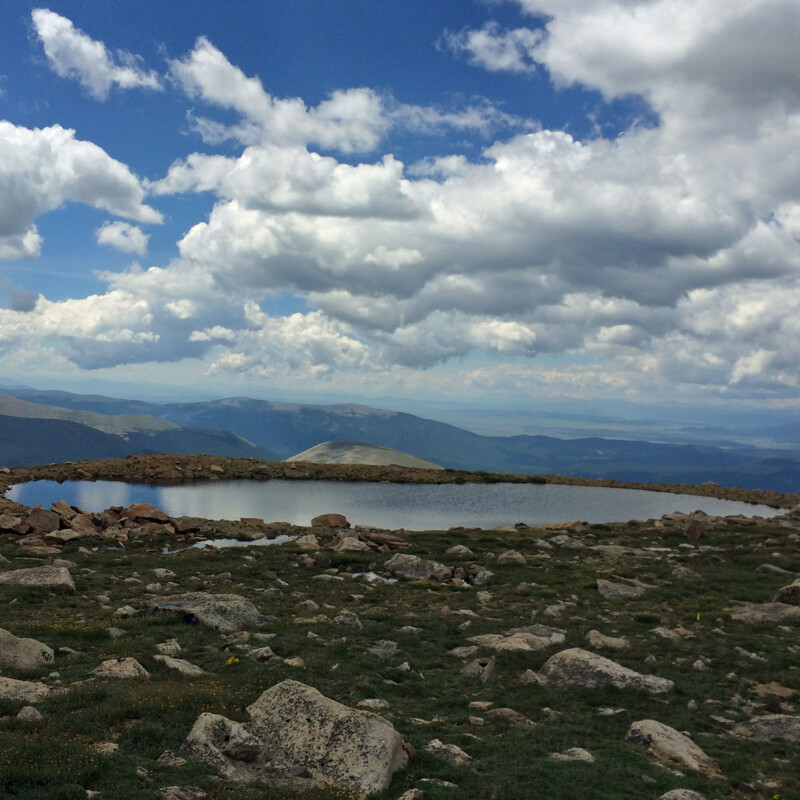 From the summit, you'll be able to see most of the portion of the Continental Divide that's in Colorado. 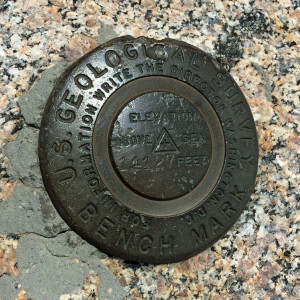 Even without hiking to the summit, you'll be able to spot Longs Peak, Pikes Peak, Denver and Mt. Bierstadt from the parking lot at the top. 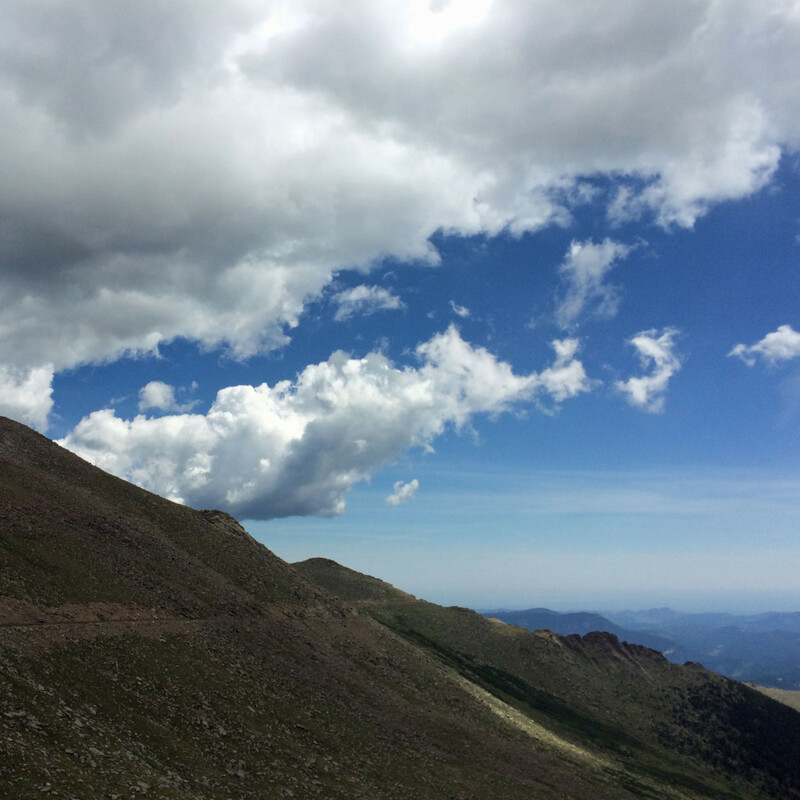 I can see for miles and miles... Also, do you spot the intrepid hikers making their way up to the summit? You might see some wildlife on the drive. We spotted two sets of large birds diving and wheeling around each other from the summit parking lot. 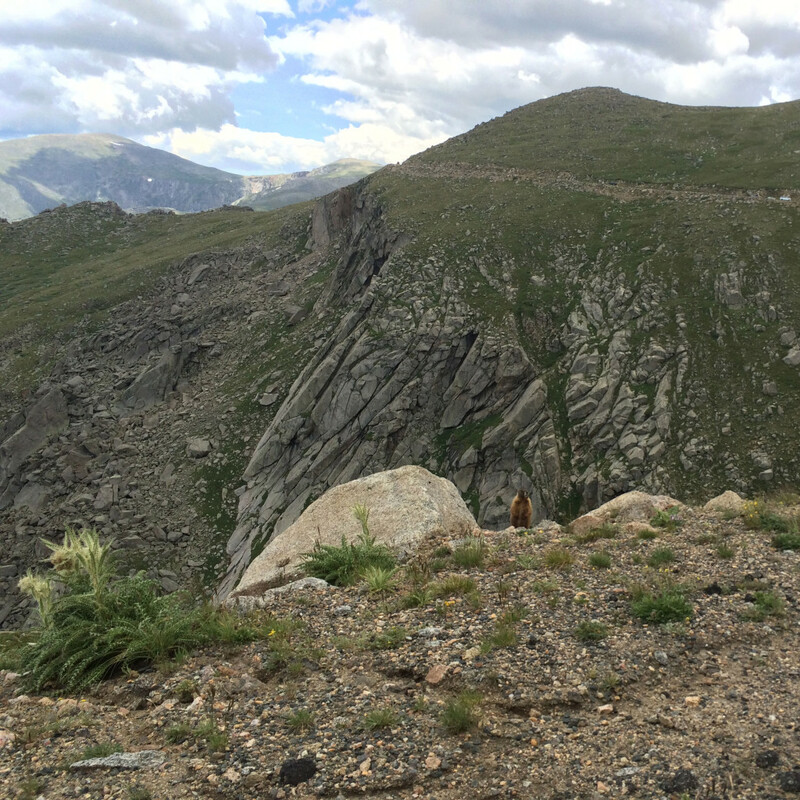 We saw a chipmunk dash across the road at a lower altitude, and we even spotted a yellow bellied marmot scooting out of the roadway — and then pose for a photo! 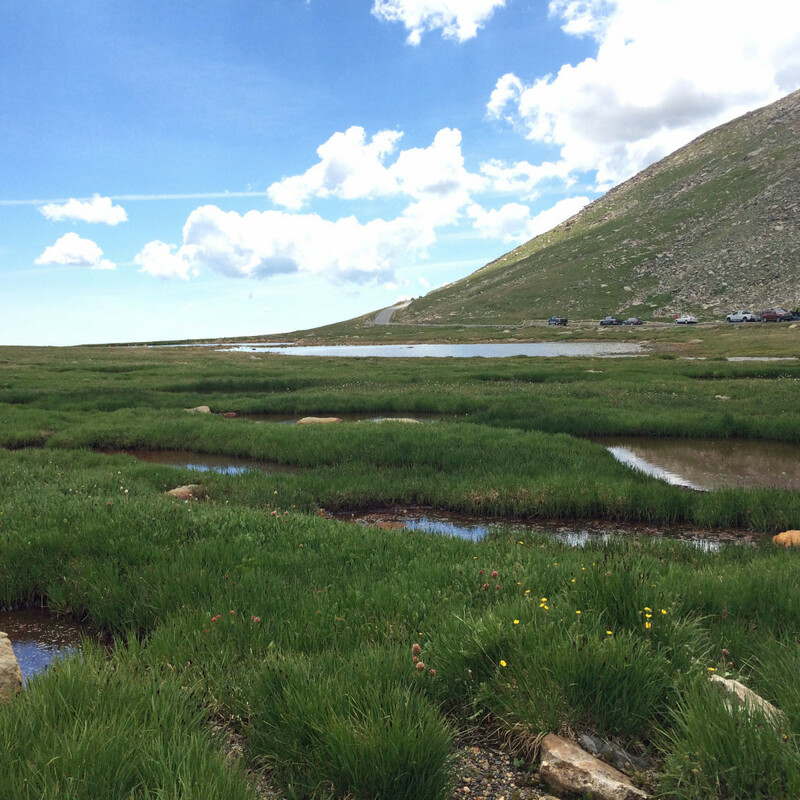 You'll see delicate alpine tundra, year-round snow and mountain lakes. The most stunning is probably Summit Lake, which displays permafrost and plants that are usually only seen above the Arctic Circle. The streams, rivers and puddles that abound along the Byway are like reflective gems. They sparkle amid the tundra, sustaining the hardy plants and animals that live in the harsh alpine environment. 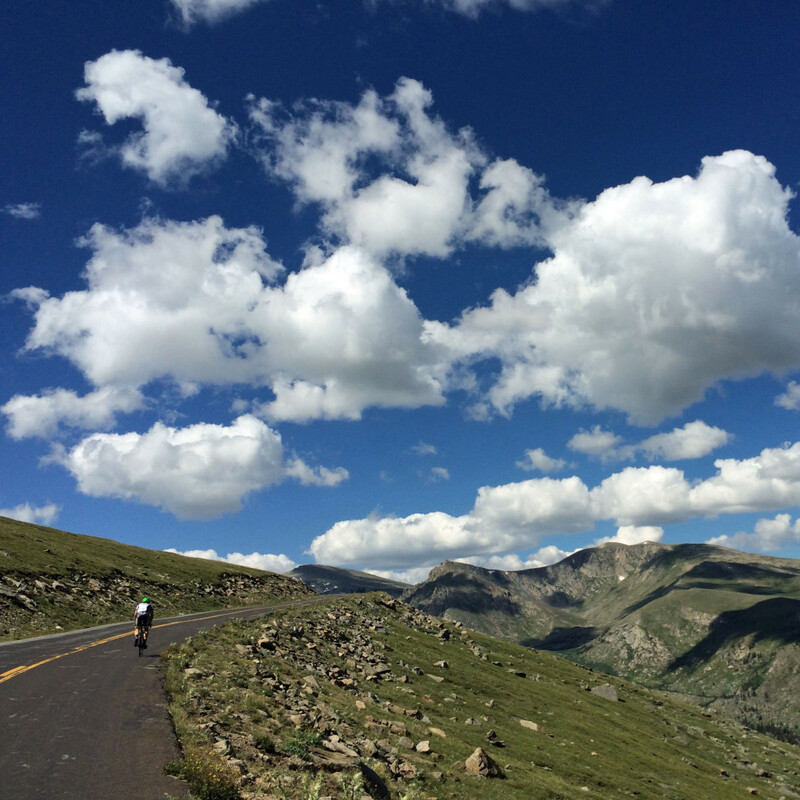 You'll feel like you're on top of the world during your entire drive up the Mount Evans Scenic Byway... because you basically are. 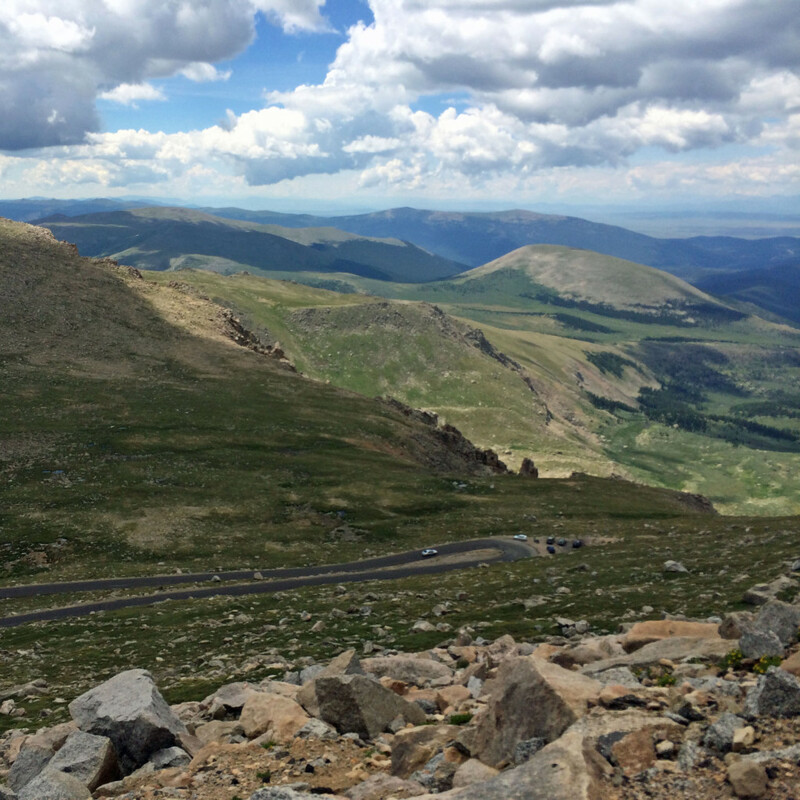 We had an amazing time driving the Mount Evans Scenic Byway and would definitely do it again. Don't miss this amazing natural attraction if you're in the Denver area! Have you made this drive? Did you do any hiking or biking? 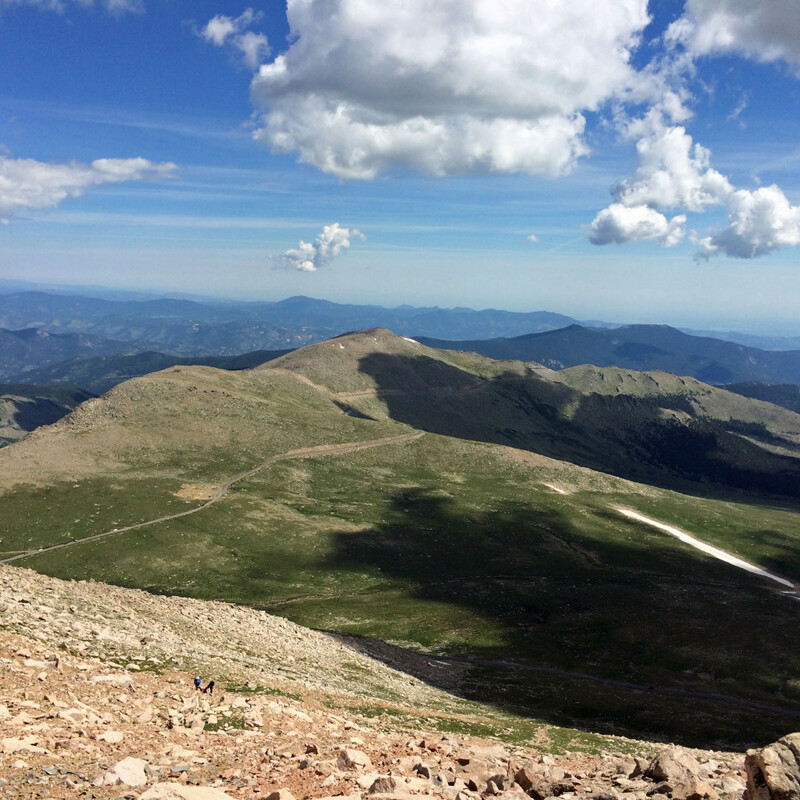 What 14'ers have you conquered?